Friendship bracelets and love inspired jewellery are a key trend this season and none hit the mark quite like this one! 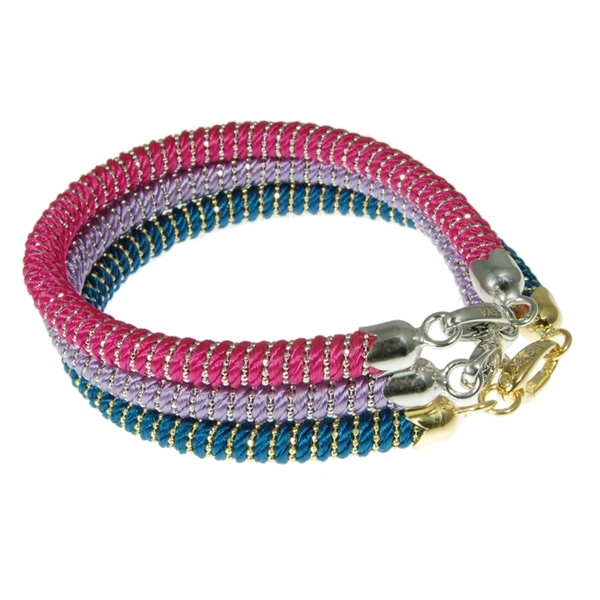 From Assya, this hot pink coloured silk rope bracelet encapsulates the look perfectly! This stunning bracelet representing 'Love' also features a sterling silver bead chain which has been entwined with the silk rope to create a striking finish. It fastens with a sterling silver clasp. It would make the perfect gift though you would be tempted to keep it for yourself!